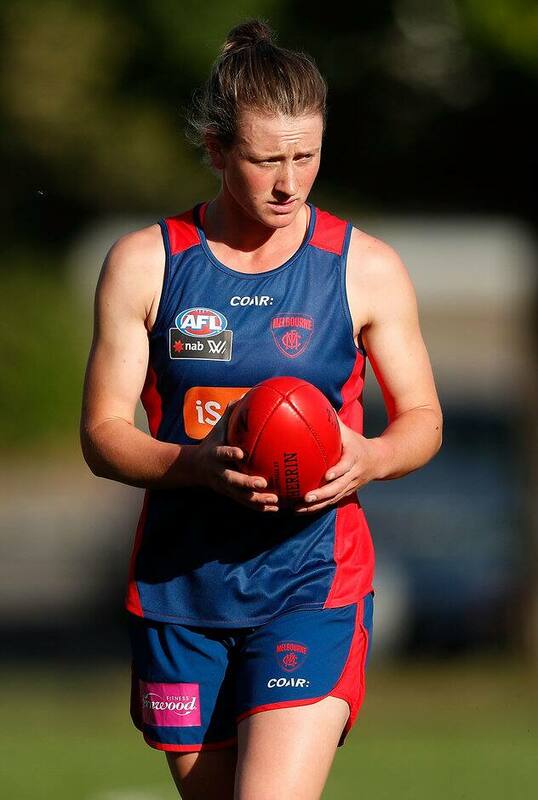 MELBOURNE has been forced to rule out forward Shelley Scott for its NAB AFL Women's match against Greater Western Sydney on Friday afternoon. Scott, who can also play in the midfield, was battling shoulder soreness in a bid to join the squad flying to Sydney on Thursday night. But the Demons left her out of the team after she failed to convince selectors of her fitness during a light skills session on Thursday. GWS has made three changes to its team while the in-form Demons have made two. Round five is certain to be a cracker, highlighted by a top-of-the-table clash between the Crows and the Lions pn Saturday. Both teams have made just the one change for what many tip to be a Grand Final preview. Meanwhile, the Blues have named star half-back Briana Davey as an emergency for their must win game against the Dogs. Davey has been battling a back complaint and did not play last week.